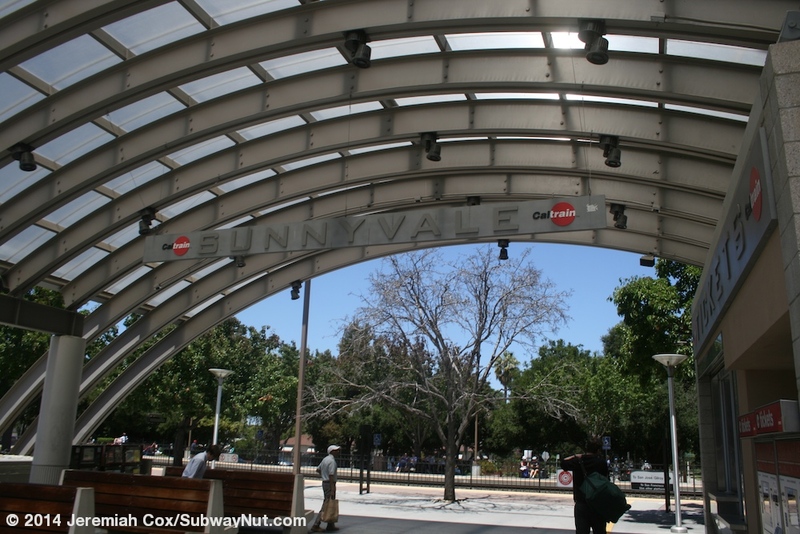 Sunnyvale is an important enough Caltrain Station that is a stop on three San Francisco-bound Baby Bullet Express trains in the morning and also 3 returning all weekend Baby Bullet Express Trains stop here. 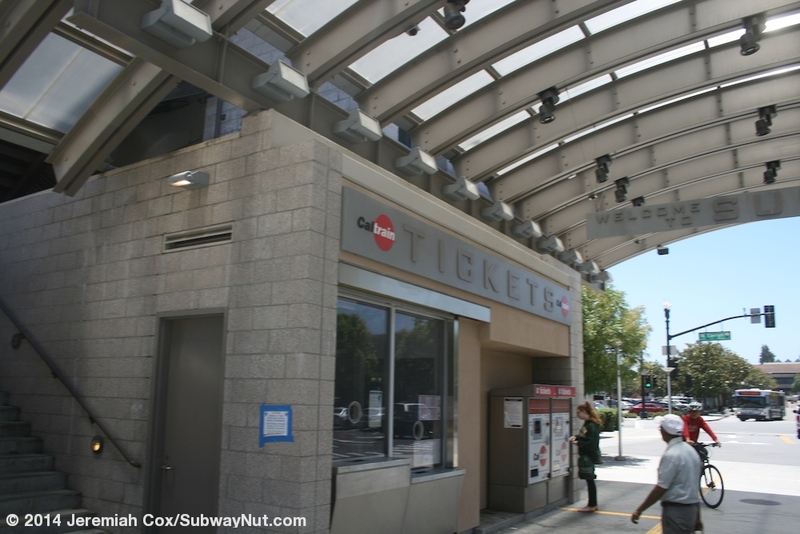 The station has a new parking structure that was dedicated in May 2003 with a tiny ticket booth type ticket office under a new modern arched canopy at one end of the garage. 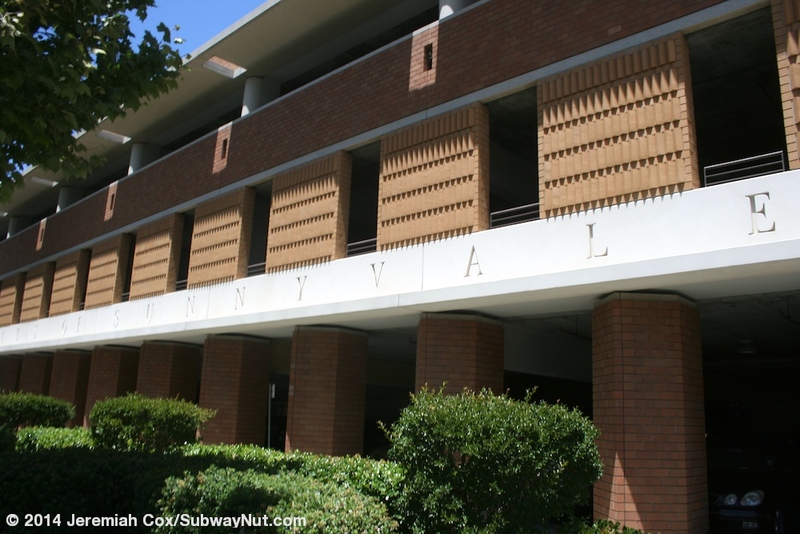 This ticket office was the second to last inline one to close in Fall 2005. 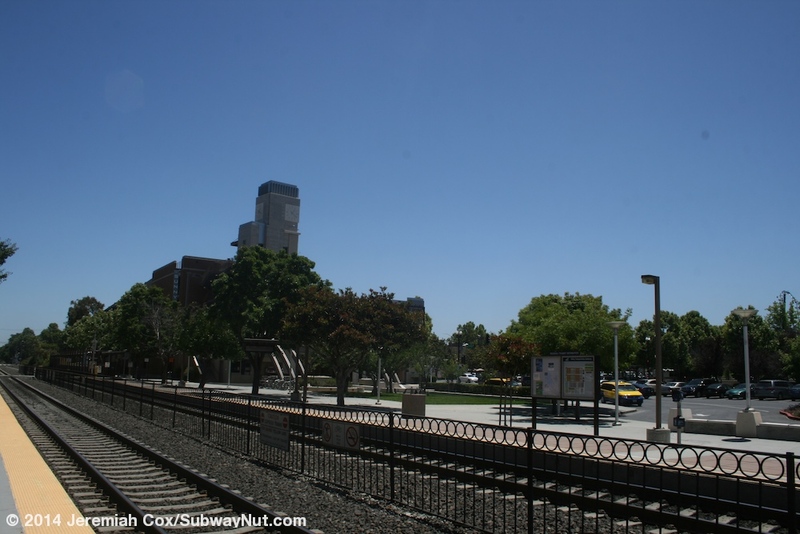 The station has two side platforms that are connected by pedestrian grade crossings at each end. 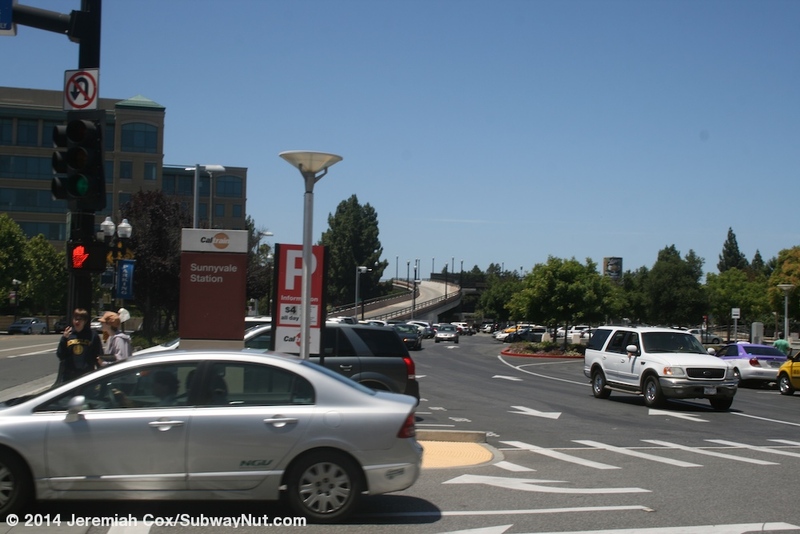 The Mathilda Avenue's highway-like overpass bridge crosses just west of the station. 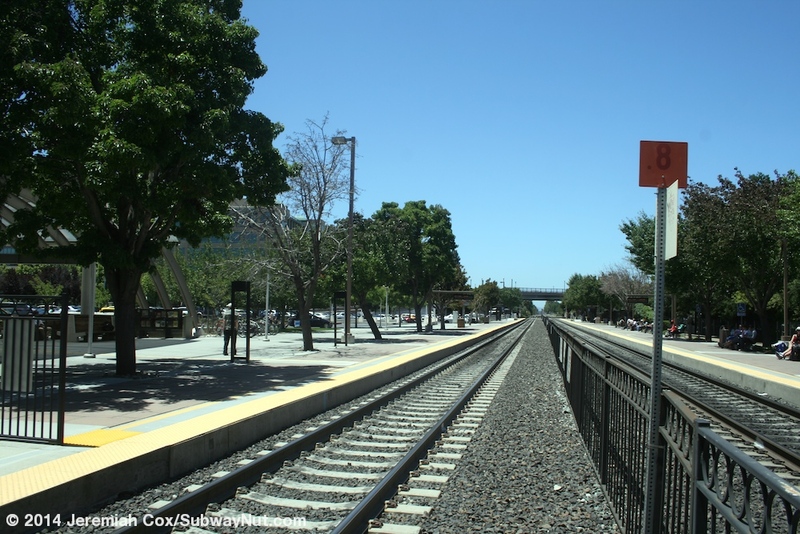 The platforms themselves are extremely simple; each has a line of benches mostly exposed to the elements. 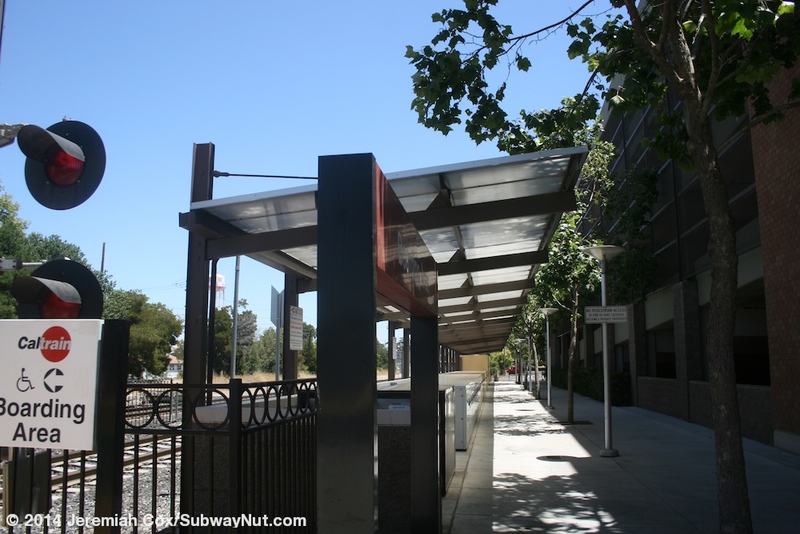 a couple of bus shelters including one that covers TVMs on each platform and anther smaller one around the blue ADA bench for each platform. 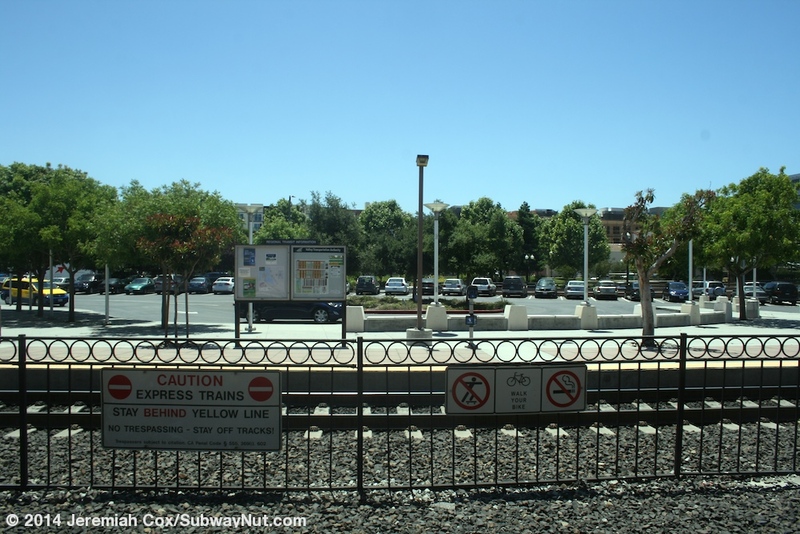 This ADA bench is across from a small mini-high platform used for bridge plates to the newer Baby Bullet Express Bombardier BiLevel Cars. 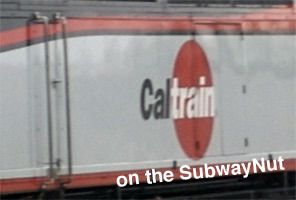 There is also a mobile lift nearby situated on each platform. 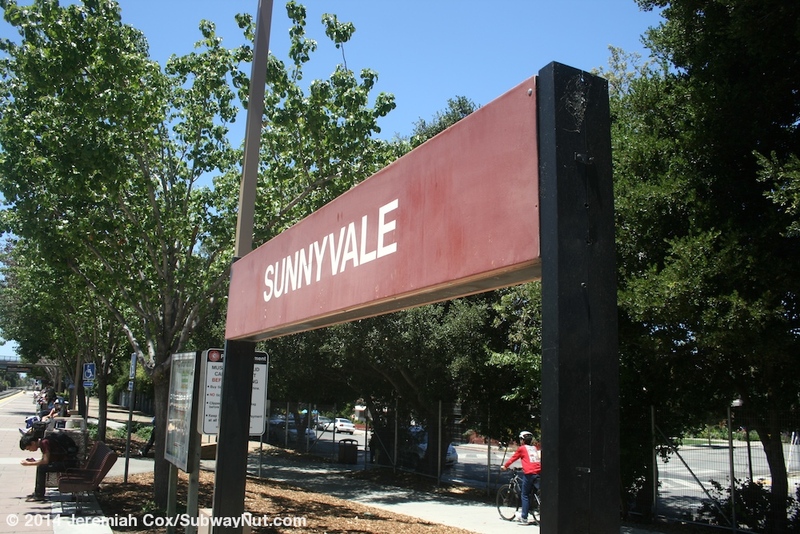 Signage is minimal, there just a couple of red ones that say Sunnyvale and Boarding Area on the opposite side. 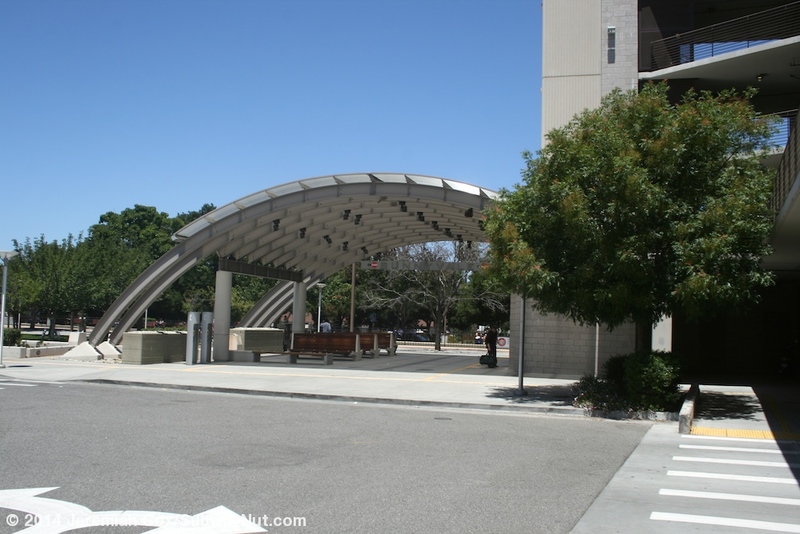 There are also some silver ones handing in the modern shelter area next to the parking garage. 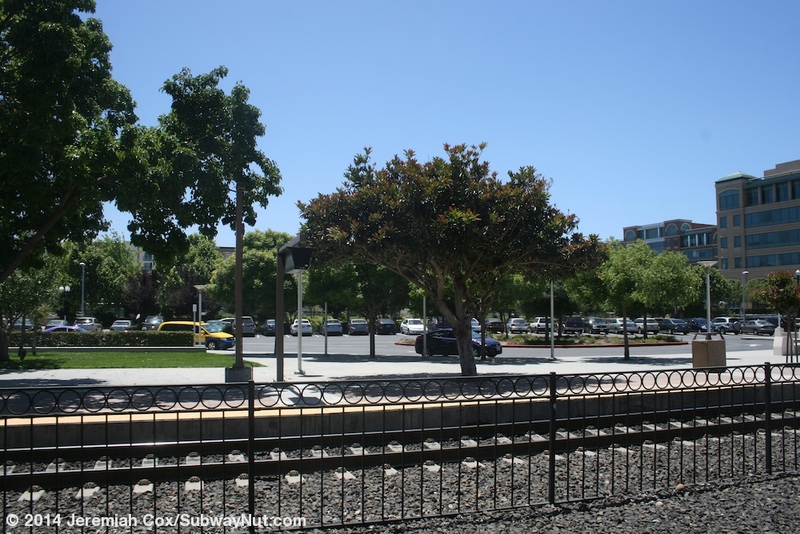 The San Jose-bound platform is along the station's drop off loop and small parking lot just off of Evelyn Avenue. 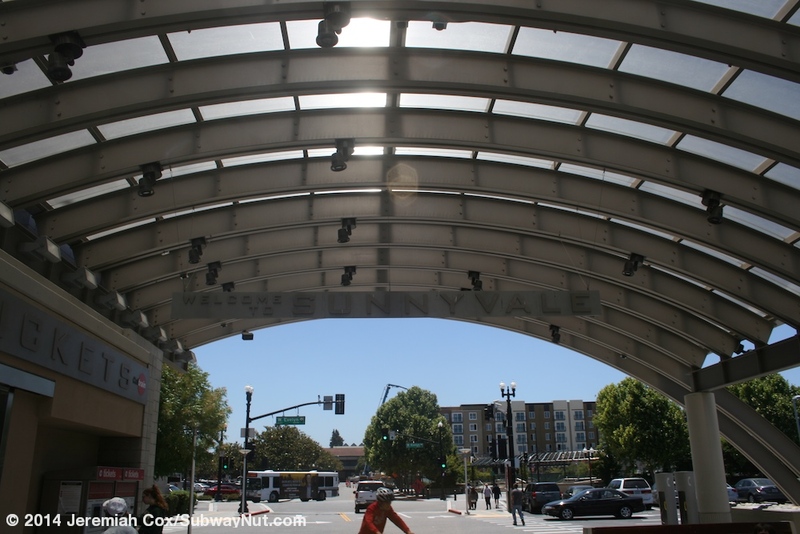 At the southern end of the platform is a modern outdoor waiting area with a circular silver steel beams holding up a glass roof. 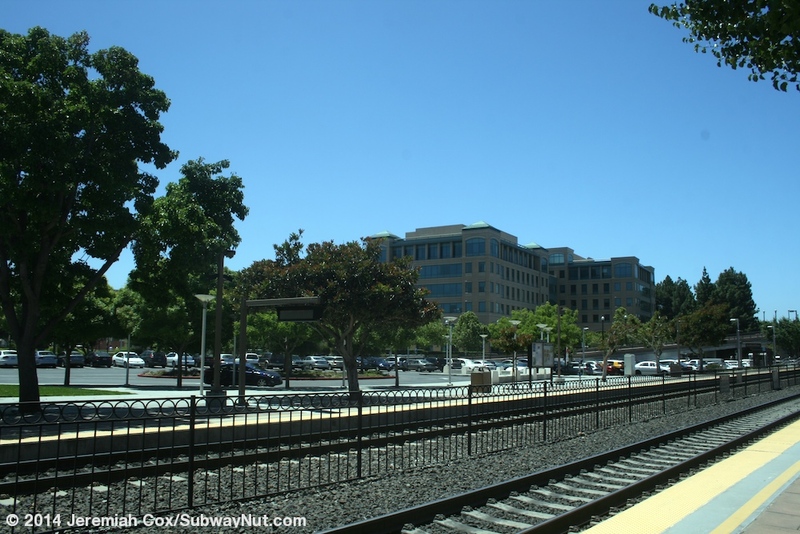 There is a line of three benches, concrete sides holding up wooden slabs, clearly designed to evoke an enclosed train station. In one corner is the now closed ticket office (the window open to the waiting area, no door for passengers to pass through) next to two TVMs. Silver lettering above them say Tickets. 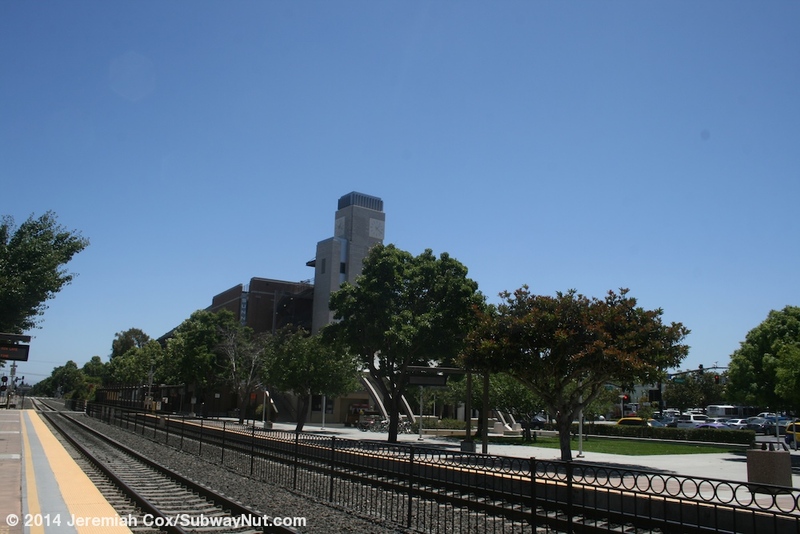 The Sunnyvale Station parking garage is on the east side of this, starting at the east side of the station. 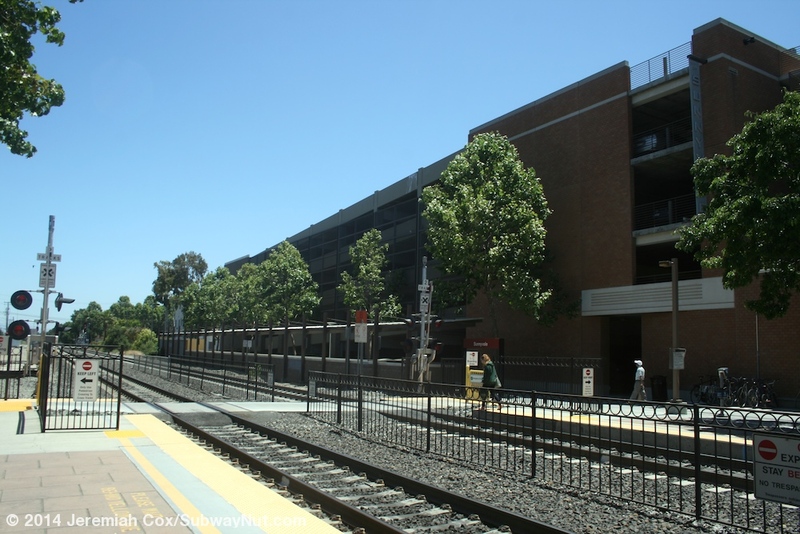 This parking garage is relatively small; Caltrain claims 439 spaces although the garage I believe is larger since it is shared with the downtown businesses district in walking distance of the station. 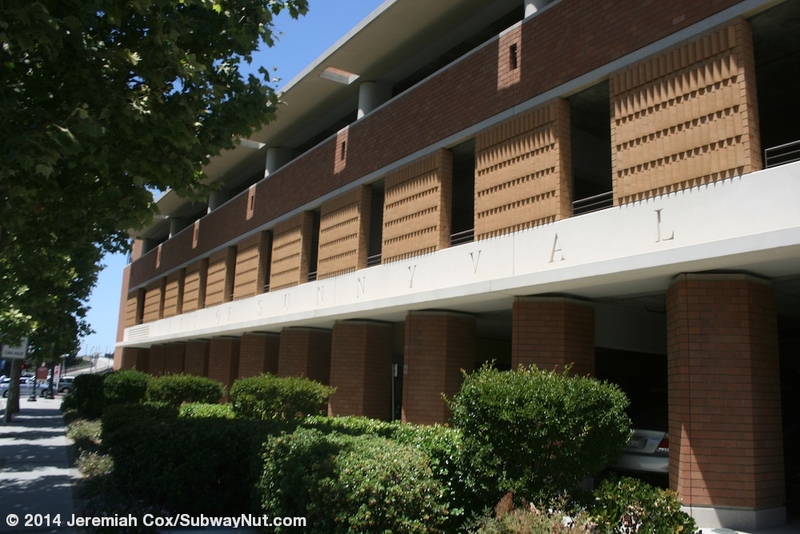 It has about four levels and is clad with red bricks. 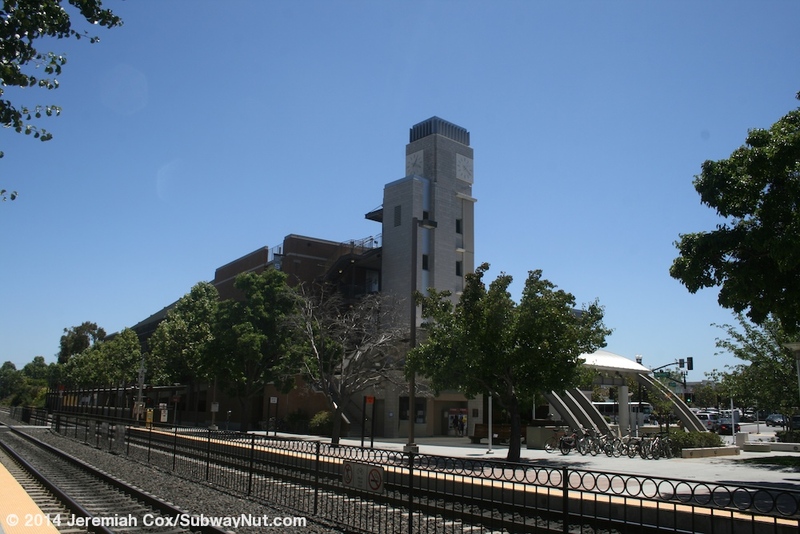 There is a concrete faux-clock tower that disguises the garage's elevator shaft on the station side of the garage. 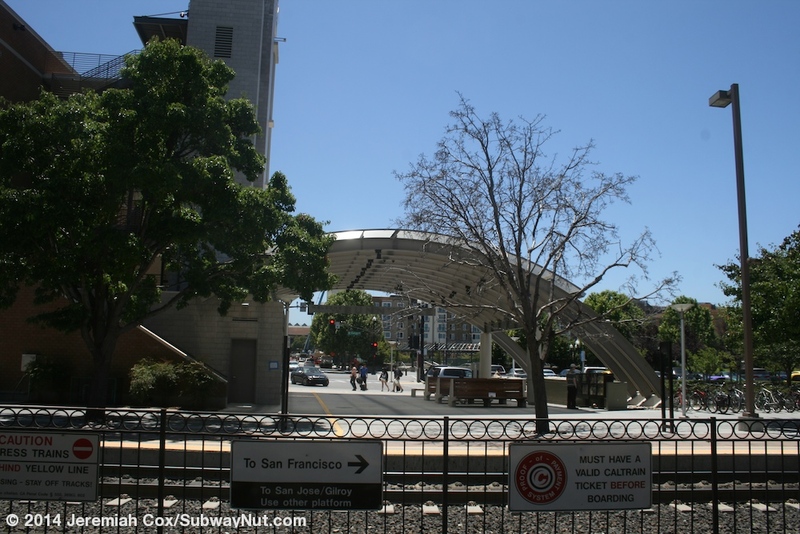 The San Francisco-bound platform has a sidewalk entrance from a Hendy Avenue at the T-intersection of Frances Street towards its eastern end. Trees and a fence otherwise restrict entry. 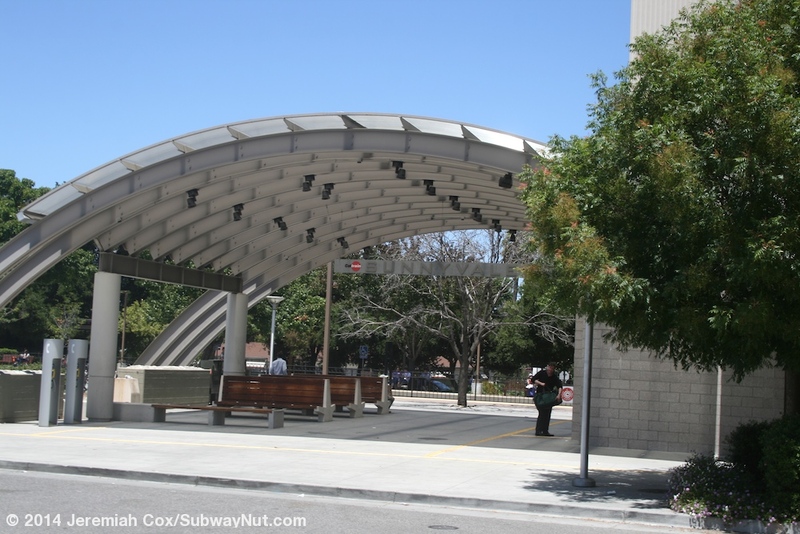 Beyond the eastern grade crossing (not for the platform) is a modern black canopy that provides double protection to a long line of bike lockers. These are across from the parking grarage. There is even a sign No Pedestrian Access at end of Bike Lockers, becomes Private Property, it ends at a fence into a private parking lot.